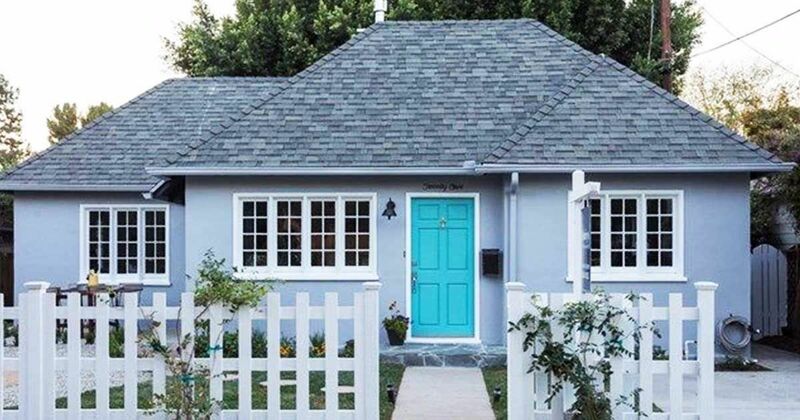 This petite cottage in Pasadena, California, is what dreams are made of. Built in 1922 and fully renovated, it's 954 square feet (88.6 square meters) of stunning style and historic charm. 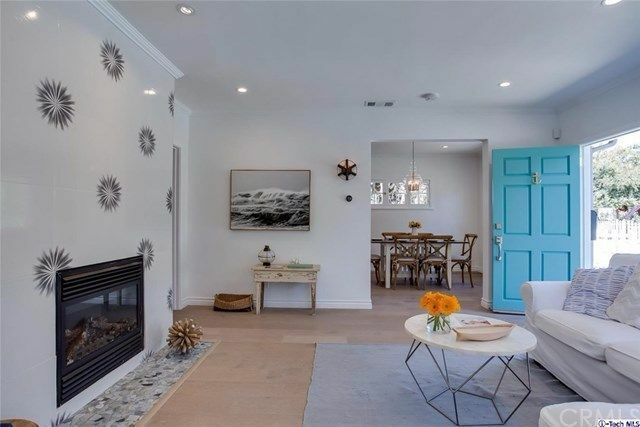 The house welcomes you with a picturesque picket fence, chic gray exterior and a pop of blue on the front door. 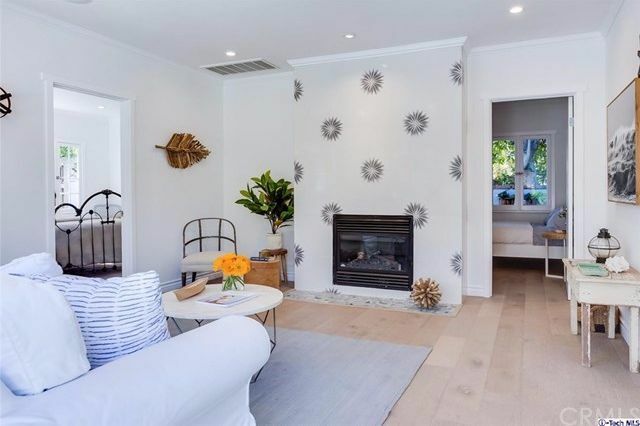 Inside you'll find hardwood floors, unique wallpaper accents and gorgeous natural light in every room. 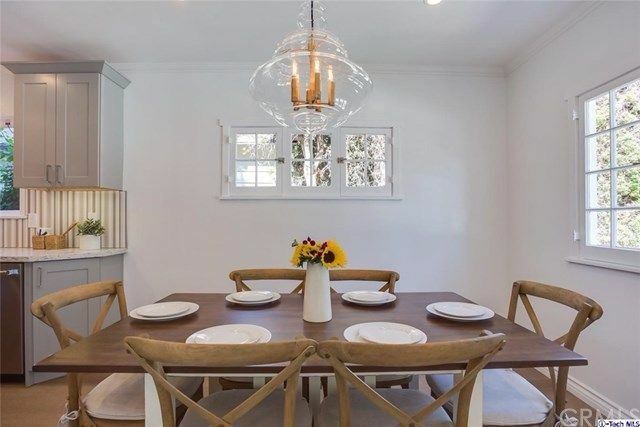 Take a tour of the home below and be ready to swoon. 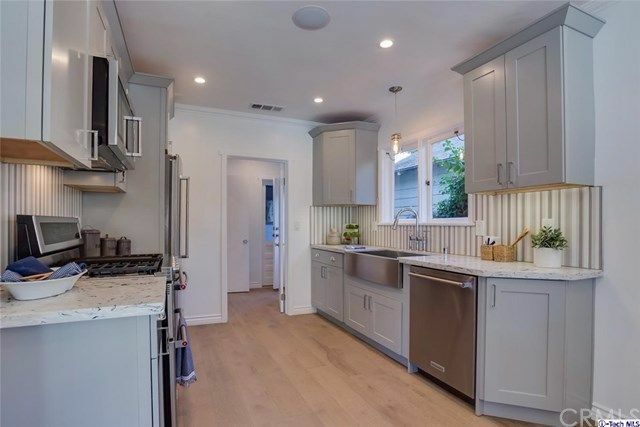 Check out the listing at Pasadena Views Real Estate for additional photos. 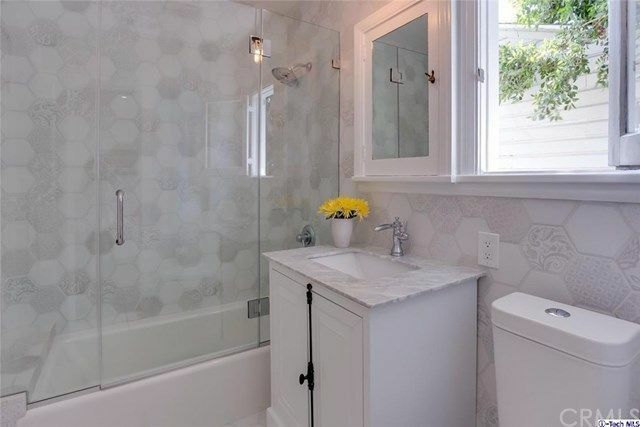 A tiny powder room is the perfect space to go bold. 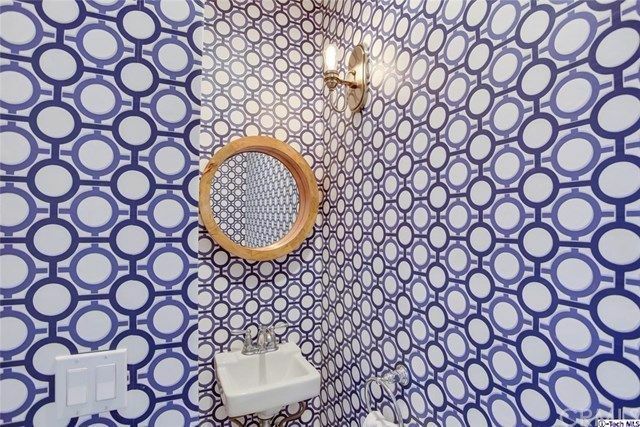 And that's exactly what's happening in this room, with its circle-patterned wallpaper and matching round mirror. 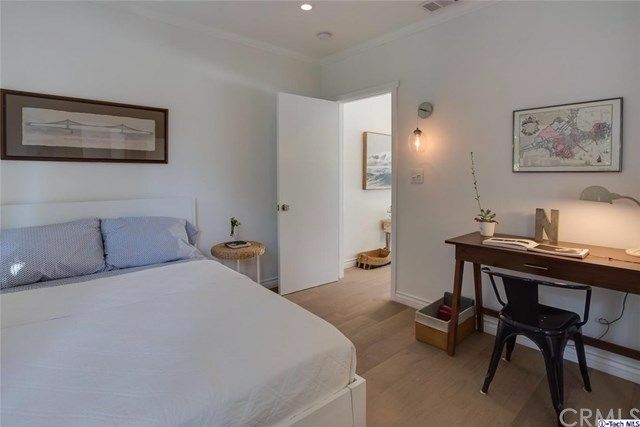 This room is like a fun surprise when guests open the door. Love what you see? This house is chock-full of inspiration for your next decorating project. Be sure to share it with friends and family on Pinterest, Instagram and Facebook.